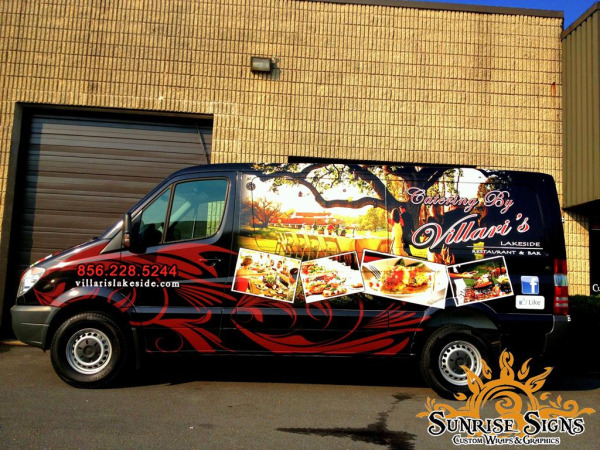 Villari’s Lakeside Brands Catering Business With Mercedes Sprinter Van Wraps in South Jersey! When you have a full-service restaurant that also serves as a space for private weddings and parties, why not take it a step further and include off-site catering in your line-up of services? That’s just what Villari’s Lakeside Restaurant did and now with eye-appealing Mercedes Sprinter van wraps, they’re helping to build and brand the off-site catering side of their business. 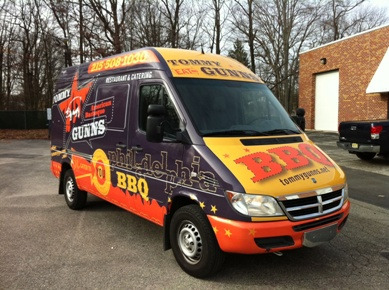 Sprinter Van Wrap Gets Tommy Guns BBQ Restaurant Noticed in Philadelphia! Back in 2004, who knew Tommy Gunns Barbeque and Catering would become a Philadelphia staple? Whether you want ribs, pork or beef brisket, Tommy Gunns fits the bill and you can get any of their delicious creations via what they call “out-of-the-box-catering” (take out) or dine in their restaurant located at 4901 Ridge Avenue in Philadelphia.